On Easter Day, 20th April 2014, the Church of England Dioceses of Bradford, Ripon & Leeds and Wakefield, will be merged to form a new Diocese of West Yorkshire and the Dales. The bishops of those former dioceses will no longer sit in Parliament as Lords Spiritual. Here – in the last of three parts – is a (very) brief history of the Bishops of Bradford as parliamentarians. Parts one (Ripon) & two (Wakefield) can be viewed here & here. Since the formation of the Diocese of Bradford in 1920, there have been ten diocesan bishops of Bradford. 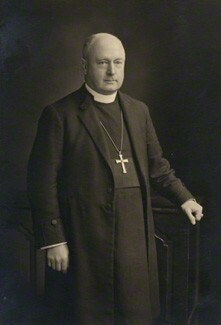 Its first bishop was Rt Rev Arthur Perowne, who served until his translation to Worcester in 1931. Bishop Perowne was born into a distinguished ecclesiastical family (his father John James Stewart Perowne, was also a Bishop of Worcester). 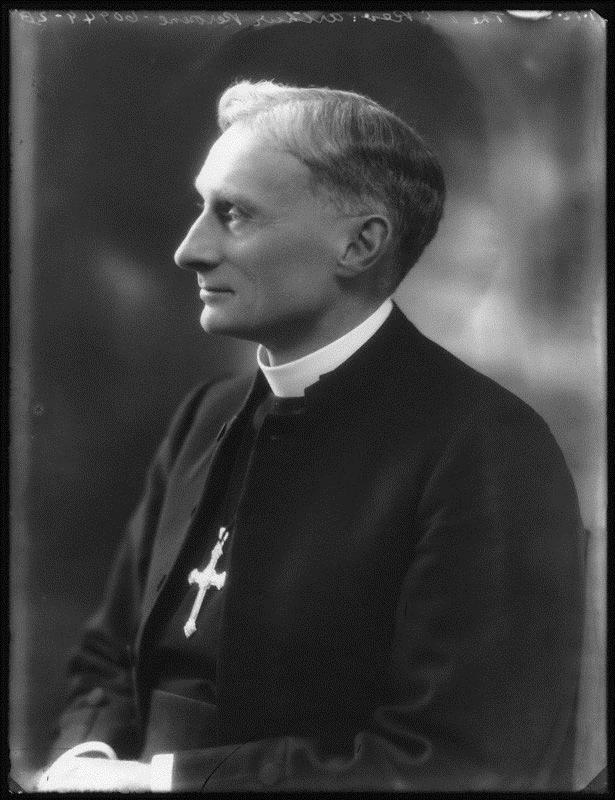 Bishop Perowne was introduced to the House of Lords in November 1923, and whilst there is no record of him making any speeches in his eight years as a member, after his translation to Worcester he spoke in support of better regulation of clubs serving alcohol.The 2nd Bishop of Bradford, Rt Rev Alfred Blunt, joined the Lords in November 1939 and remained a member for 16 years until his resignation in 1955. (for more on the history of this, see here). “Human society is organised on wrong principles; its guiding motives are self-seeking individualism and the dominance of money. God is a side issue in the life of very many“. Archbishop Fisher also attended the debate and spoke in support of Bishop Blunt and freedom of speech. “During his time at Bradford, Coggan became increasingly active in national church life. For a time he was chairman of the liturgical commission (1960–64), and during these years he supervised the revision of the catechism and the psalter. He became a world vice-president of the United Bible Societies in 1957, an office which took him on strenuous world tours and kept him in touch with the arena of biblical scholarship for nearly twenty years. It was widely known that as Fisher was approaching his retirement at Canterbury, he favoured Coggan as his successor. He saw in him someone who could continue the considerable reforms to church law and administration which he himself had achieved. Coggan was invited to breakfast by the prime minister, Harold Macmillan, though no mention of appointments was made” [Ramsay went to Canterbury, Coggan to York]. 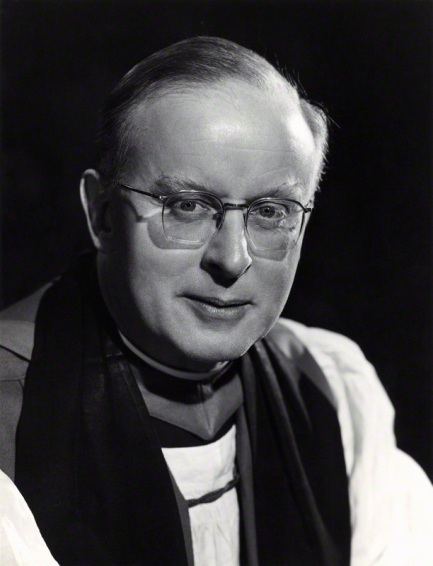 Rt Rev Martin Parker was appointed to Bradford as successor to Bishop Coggan in 1961, where he stayed until his retirement in 1971. However, he appears to have remained a stranger to Parliament during that time. Bishop Ross Hook, 5th Bishop of Bradford, began his first speech in the Lords in 1979 with an apology for having been silent in the House for the first four years of his membership. He chose a debate on immigration rules , drawing attention to what he saw as positive race relations between different communities in Bradford and West Yorkshire. 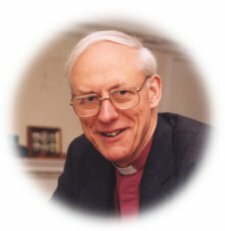 Rt Rev Geoffrey Paul sadly died in office after only two years as Bishop of Bradford and so was unable to join the Lords. A former missionary priest in India and Bishop of Hull, his daughter Jane married the future Archbishop of Canterbury, Rowan Williams. 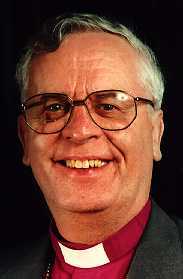 His successor as the 7th Bishop of Bradford, Robert Williamson, entered the House of Lords in 1988 and made a number of significant contributions. His maiden speech was during a debate on Higher Education, during which he explained how he had left school at 14 and been educated at ‘the University of Life’. A Lord Spiritual who saw his role as speaking up for the people of his diocese in parliament, amongst other contributions in the House of Lords was a speech in a debate on Land Use, in which he spoke about the challenges of the decline in industry and the potential for redevelopment: “It is essential that cities such as Bradford have a coherent and comprehensive economic strategy.” He described the need to grow the facilities available to visitors in the Dales area of his diocese, without which economic viability would be hampered. 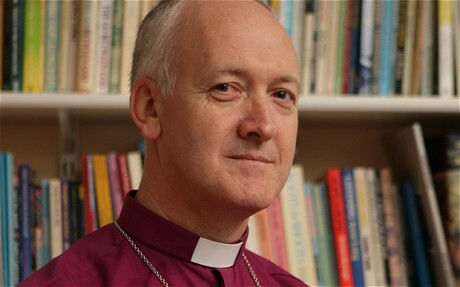 Bishop Williamson spoke in favour of a 1989 Private Member’s Bill to make it harder to obtain an abortion after the 24th week of pregnancy and during the passage of the 1990 NHS and Community Care Bill. During the Gulf War with Iraq in 1991, the Bishop of Worcester made reference in a Lords debate to how “we must all take opportunities to be alongside moslem people in this country. Indeed the right reverend Prelate the Bishop of Bradford is taking great trouble over this matter in his own diocese.” Bishop Williamson was translated in 1991 to become Bishop of Southwark. Bishop Smith also spoke in the Lords on church schools, Christians in the Middle East, race relations (including a debate on the Parekh report on multiculturalism), child welfare, global poverty, and in the Queen’s Speech following the 2001 General Election raised concerns about the changing situation for farmers and the rural population. The Rt Rev David James, 9th Bishop of Bradford, was introduced to the House of Lords in 2009. Though he retired only a year later in July 2010, he used his brief time in parliament to speak on poverty, global affairs and community relations. Bishop James gave his maiden speech in a 2009 debate on the economy, on the need to “eradicate poverty and continue investing in our young people’s education.” He also made interventions on Sudan, asylum, child poverty and during the passage of the Equality Act 2010, including in support of an amendment on Catholic adoption agencies. His final speech, during the response to the 2010 /11 Queen Speech, he gave a warm welcome to the Coalition Government’s commitment to end the detention of children for immigration purposes. As well as being a keen follower of Bradford football club, Bishop James was one of the first Bishops to read a speech in the House of Lords from an electronic hand-held device. 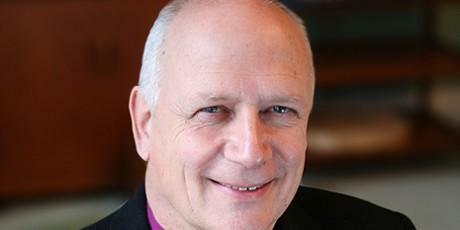 The 10th and last Bishop of Bradford is the Rt Rev Nick Baines. Although he will not have the opportunity to join the House of Lords as Bishop of Bradford, he will enter (likely later in 2014) in his new capacity as Bishop of Leeds, overseeing the newly created Diocese of West Yorkshire and the Dales. A regular blogger and tweeter, he frequently writes and comments on contemporary political issues.